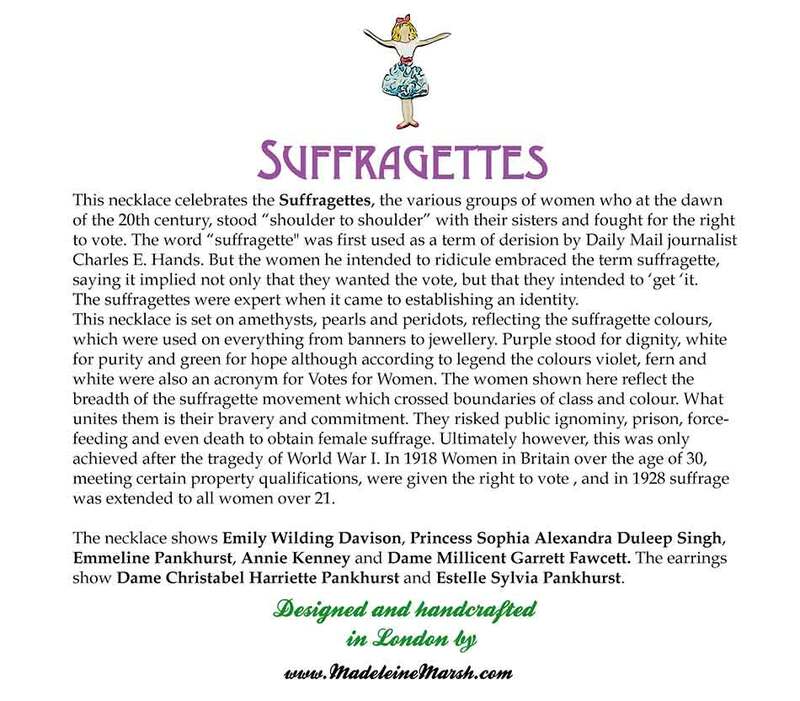 In 1908 the suffragettes adopted the colours purple, white and green, which they used on everything from sashes to banners. 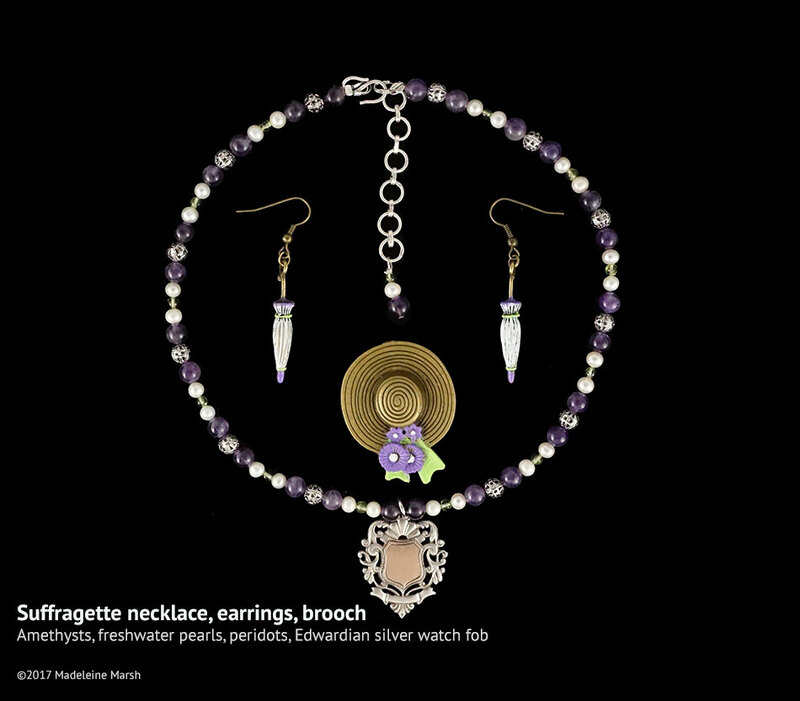 Purple stood for dignity, white for purity and green for hope. 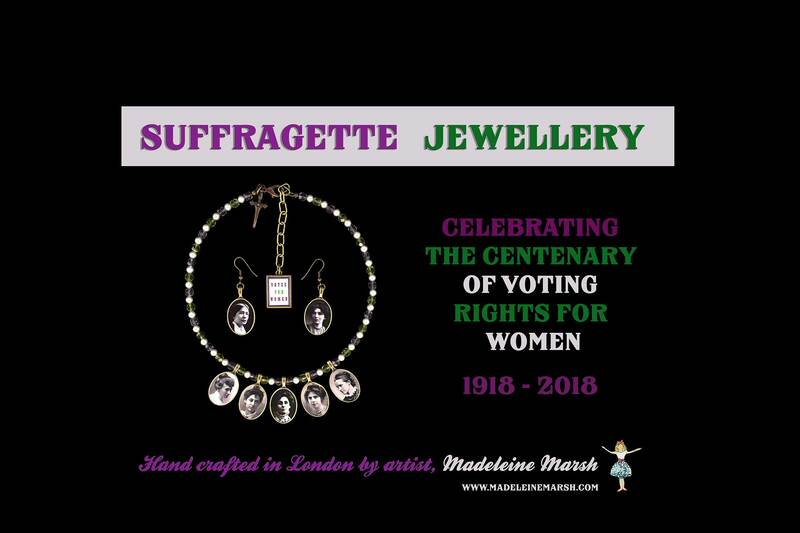 According to legend, when described as violet, fern and white the colours were also an acronym of Votes For Women. 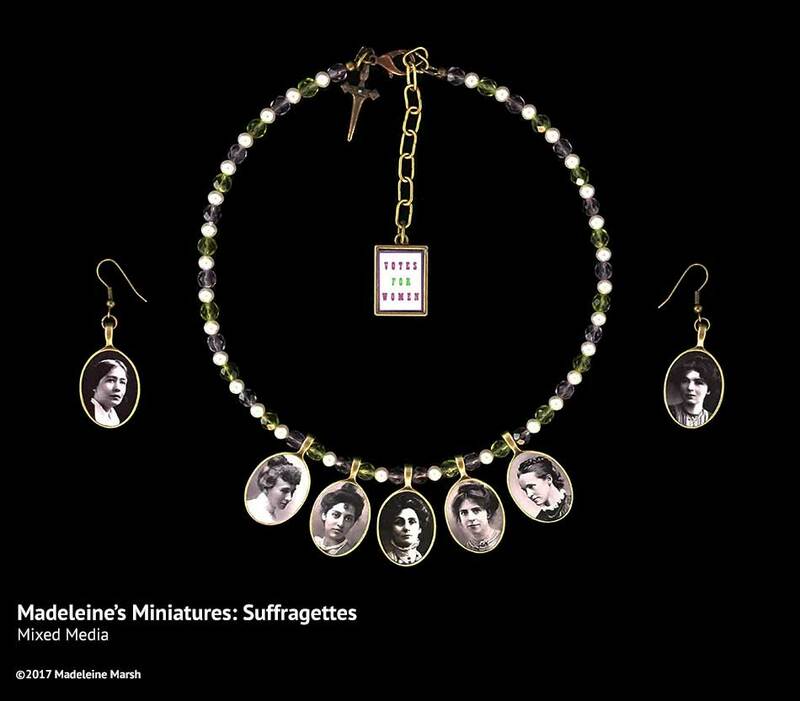 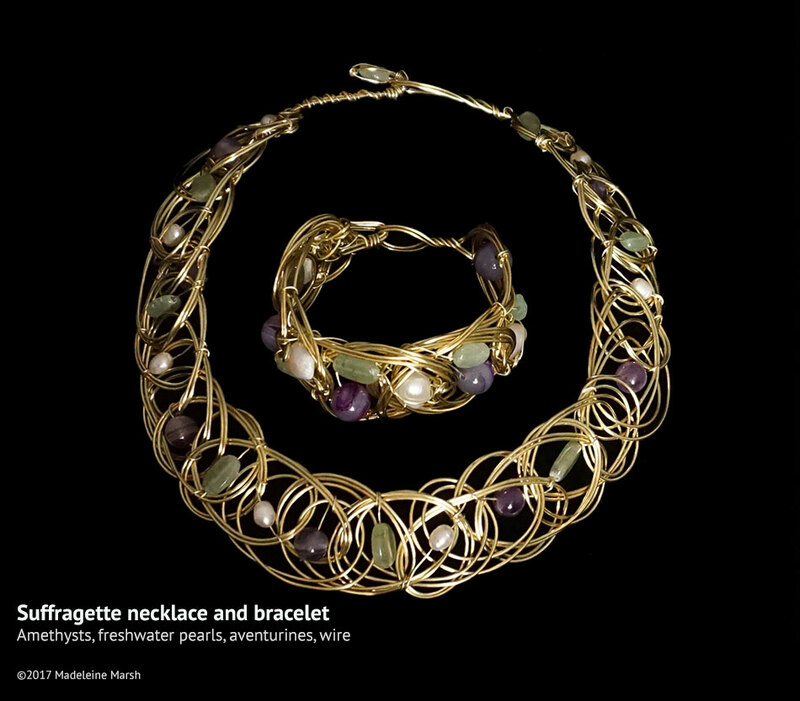 Suffragette jewellery decorated with amethysts, pearls and green gemstones was popular in the Edwardian era and these pieces are a modern tribute to suffragette style.